I love a cheesy Christmas. Christmas movies. Christmas books. Christmas decorations. Christmas cookies. You name it, and I've probably watched/read/fell in love with any number of Christmas items. That's why it was so shocking to me to realize that I have never read a single one of Lori Wilde's novels -- a NY Times Bestselling Author who happens to have at least 3 other Christmas novels. I'm glad that I had a chance to add this one to my repertoire. Gabi is a great character to follow. She is an L.A. native who is running away from a life that has her thoroughly confused (we can all relate, right?). She's not sure if the path she's on is the one that she wants to be or even should be on. She's desperate for a chance to escape (at least for a few weeks) to the "perfect Christmas town" and little does she know that she's hit the bullseye with Twilight, Texas. Twilight is the town where everyone knows each other. Where neighbors help each other in any crisis. Where Christmas tree decorating is a town affair. It's like a snowglobe personified -- exactly what Gabi is looking for. Joe is a great character as well -- but a little too perfect for my taste. He's naive to a fault. He's good-hearted to a fault. I would have loved to see a bit more growth in his character over the course of the novel, but that being said, when you're going to pick a character to fall in love with, you'll know that Joe is your man. Overall, I think this book is perfect for Christmas and for those of us who love those cheesy Hallmark movies that come on every year. It's enjoyable, the characters are sweet and funny, it gives you nostalgia for a world where everyone lives like one big happy family. On the other hand, I would not say that this book is exactly a page-turner. There wasn't really any point of suspense or excitement. The story was about two great characters who fall in love and deal with their past, but I would have loved to see even more depth to them. It was just a bit predictable. 3.5 out of 5 stars. 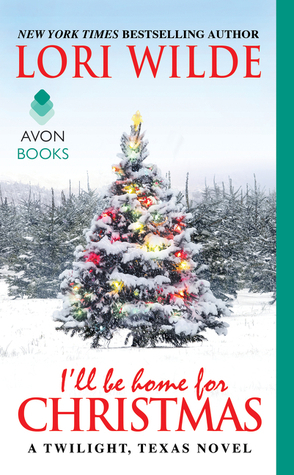 Read this book if you want to be transported to a love story in a beautiful Christmas setting.